The venue was a large frozen lake in Novosibirsk. 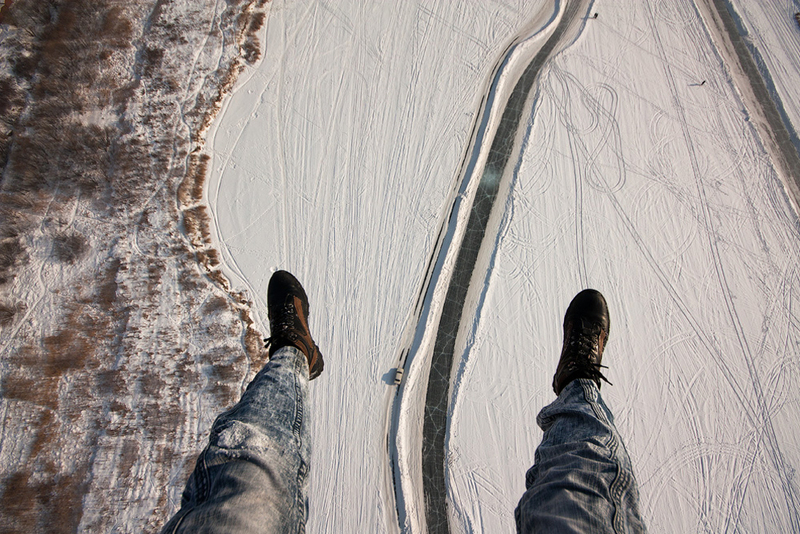 Pictured is the ice track where the parasail flights took place. Besides a parachute, you normally need a speedboat to go parasailing. But in Novosibirsk, where it's cold most of the year around, a snowmobile will do instead.